If you’re coming from Ontario, Canada, you can reach as far as Dublin, Ireland aboard the Citation Latitude. This 8 seat jet has the latest, customized facilities to make sure business and leisurely travelers will cozily reach their destination. Its passenger seats are installed in a way where you can stretch out your feet. Each seat also has improved features such as a pull out table. With this detail, you can relish your meals or turn your seat into a workstation by working on your laptop, plugged in nearby safety outlets. One distinct feature which the Citation Latitude has would be its spaciousness and cabin length. This improvement is particularly useful especially when you’re having over 5 hours’ worth of trip. The Citation Latitude also has a competitive speed, given the medium jet’s capacity, spaciousness and wide range. Know more details about this plane and enjoy your upcoming trip by scheduling your very own, private flight today. The Citation Latitude was particularly made for spaciousness. Many operators consider the aircraft as one of the most spacious and tallest of its kind. To ensure the most restful flights aboard the plane, contact your operator and ask about its interior’s exact features. These include in-flight entertainment, a galley, lavatory and luggage compartments. WiFi may also be considered especially if you’re traveling for a business conference. With the availability of communication options, you can access your email while flying and prepare your presentations or documents, so you’ll be work-ready upon landing. If you’re traveling for leisure, WiFi would also be great to stay connected with your professional network, friends and loved ones. This aircraft can take you to the farthest possible regional location, or even international destinations. Did you know this plane has one of the fastest climbing rates per day? It roughly has a 3,000 feet per minute climb, which means you can reach the plane’s peak altitude within just 15 minutes. Some reviews mentioned of how this aircraft also has one of the quietest cabins they’ve experienced compared to most medium sized jets. 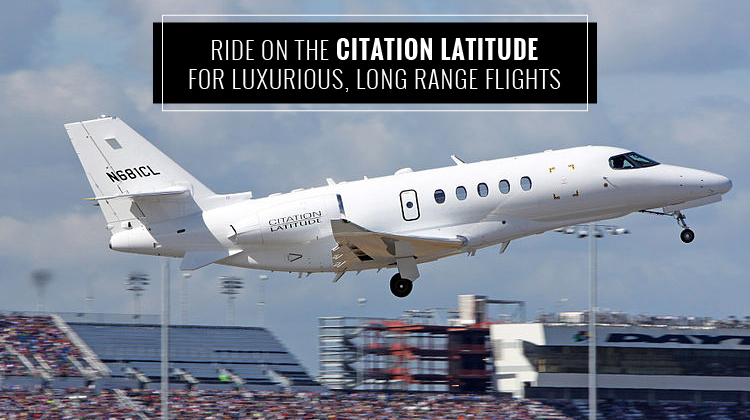 By riding on the Citation Latitude, you’ll have much better chances of getting to your location fast. Given your intended location, it’s always best to confirm the number of passengers who’ll ride with you. The info you’ll share should also include the weight of your baggage. This way, your chosen operator may efficiently note down your routes and schedules as part of your flight plan. Keep in mind, a lighter aircraft can help you reach farther destinations at a faster pace. 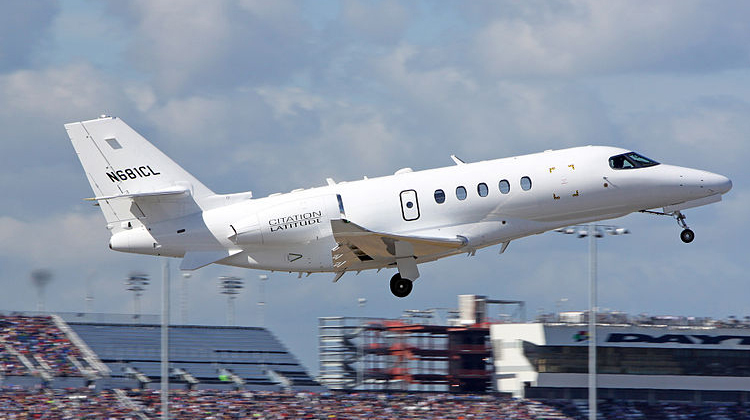 The Citation Latitude is quite a young aircraft as it took its first flight in 2014. Yet, this $16 million aircraft already has over 32 units being flown all over the world. It has the ideal feature combination of the Cessna Citation XLS+ with a much larger cabin, along with the price-competitiveness of the Cessna Citation Sovereign. This all-American manufacturer continuously thrives to bring comfortable flights, for passengers going on long-range trips.